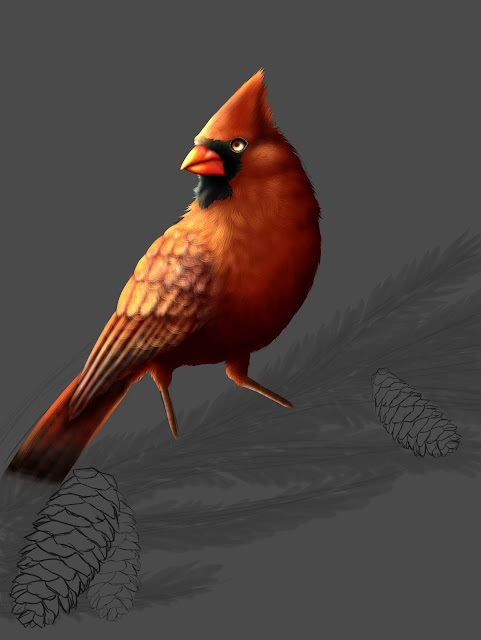 Cardinal is completed; except for the feet. I have to work on the background before I can work on the feet. I will work on it more tomorrow. Twelve hours in. Almost completed!! !